Stay ahead of any potential disaster by taking advantage of our preventative approach to roof maintenance. Just because your home has avoided the brunt of seasonal thunderstorms and blizzards doesn’t mean your roof is free of any issues. South Shore Roofing recommends regular roof inspections that can identify minor defects that need attention. Residential roof maintenance is critical to the proper function of your entire home. Just because your roof looks fine, doesn’t mean that it’s free of minor leaks and seemingly insignificant defects. A small leak can slowly eat away at the stability of your roof and moisture can transform your framing into a delicious food source for insects like termites. 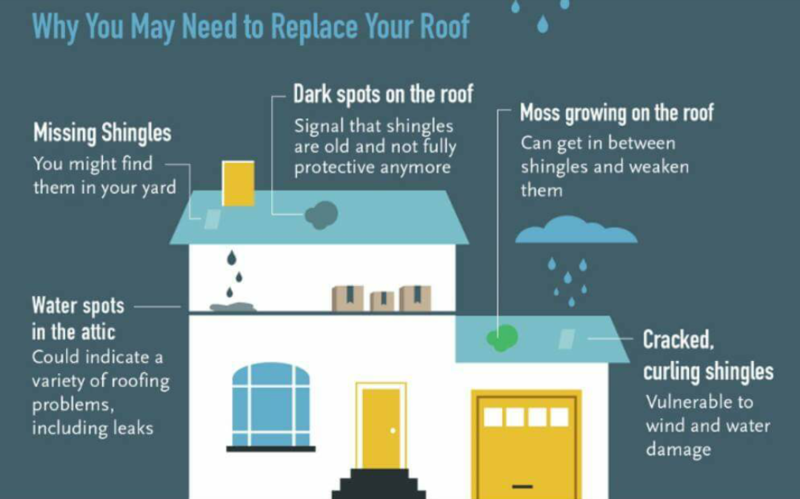 Don’t wait until it’s too late to fix the small problems your roof is facing. Get a full inspection of your roofing and your gutter system today, so you can avoid the potential for flooding and slab leaks. Keep your home ventilated properly, and prevent health issues that can result from contaminated air and mold growth. The relatively minor cost involved with commercial roof maintenance will seem like a wise investment when weighed against the major involvement and expense that comes with a full roof replacement. Just because everything seems to be in proper working order, doesn’t mean that it actually is. Take advantage of our regular inspections and residential maintenance, and save yourself a major headache. We recommend getting a roof inspection at least once every three years. This allows us to locate minor issues that can be resolved with relative ease through our residential roof repair process. Have your gutters cleaned to verify that your roof is properly ventilated through our maintenance process. Proper ventilation of the roof helps to prevent ice dams, and can reduce your monthly heating and cooling costs. Clean gutters will channel water away from your home and any exposed areas on the periphery of your home. This help to prevent wood rot and the growth of potentially deadly forms of mold and mildew. No businessperson worth their salt would ignore the maintenance needs to any major business asset. So why would you cross your fingers and hope for the best when it comes to the roof over your business? Make an appointment for an inspection of the roof over your establishments, and take full advantage our commercial roof maintenance process. Keep your location free of damage and don’t let an unforeseen problem cause you to close your doors for good. Contact us today for preventative roof maintenance that will save you money and difficulty in the long run. We proudly serve customers in Massachusetts, particularly on the South Shore, and accept credit cards and offer financing through a third party.